U.S. Nuns Haunted by Pierre Teilhard de Chardin? Are American nuns paying for the sins of a Jesuit priest who died in the 1950s? To many ears, “conscious evolution” probably sounds like a squishy catchphrase picked up after too much time in a New Age sweat lodge, and that’s pretty much how Cardinal Gerhard Mueller, head of the Vatican’s Congregation for the Doctrine of the Faith, views it. That’s tough talk, and Mueller warned them that if the nuns persist in pursuing such dangerous ideas, Rome could cut them loose. Yet those principles, and indeed the very term “conscious evolution,” also lead directly back to Pierre Teilhard de Chardin (1881-1955), a French Jesuit who was by turns a philosopher and theologian, geologist and paleontologist. It was Teilhard’s thinking about humanity’s future evolution that got him in trouble with church authorities, however. Teilhard argued, for example, that creation is still evolving and that mankind is changing with it; we are, he said, advancing in an interactive “noosphere” of human thought through an evolutionary process that leads inexorably toward an Omega Point – Jesus Christ — that is pulling all the cosmos to itself. “Everything that rises must converge,” as Teilhard put it, a phrase so evocative that Flannery O’Connor appropriated it for her story collection. This process of “complexification” — another of his signature terms — is intensifying and Catholic theology could aid in that process if it, too, adapts. Now, that’s a perilously brief sketch of what is an intricate and often impenetrable series of concepts, but that language is enough to show why, as early as the 1920s, Teilhard’s Jesuit superiors barred him first from publishing and then from teaching, and then effectively exiled him to China to dig for fossils (which he did with great success). Yet if few remember who Teilhard was, his views on faith and science continued to resonate, and today, remarkably, he’s actually enjoying something of a renaissance. At the same time, scholars such as David Grummett and Sister Elizabeth Johnson have been honing and deploying Teilhard’s often arcane ideas, and the American Teilhard Association has an agenda busy with conferences and publications. 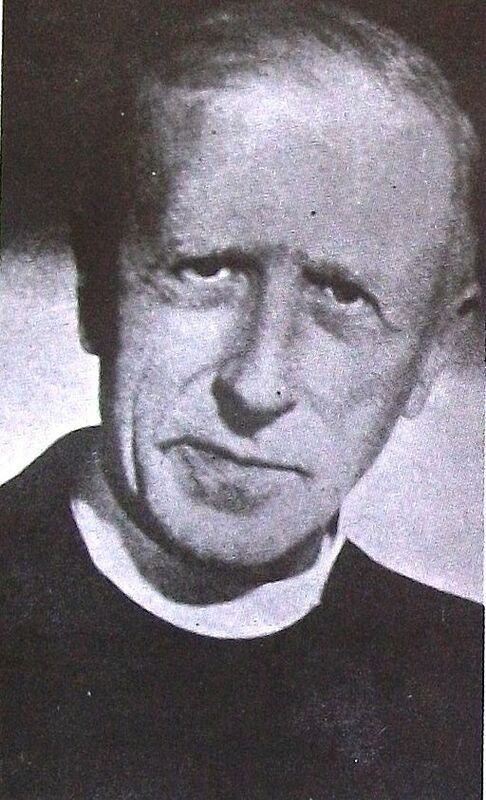 It is “the emergence of Teilhard de Chardin,” as John Haught titled a 2009 essay in Commonweal magazine. Well, this is kind of helpful. I've been intrigued by Teilhard since I first read him some 30 or 40 years ago. I think that it was his putting "cosmos"/Creation into my notion of "Christ" that attracted me to him. Change/evolution and awareness/consciousness seemed to be inherent within the notion that Christ was bigger than just one human life (though one human life could encompass Christ). Then I read Barbara Marx Hubbard's reply to Cardinal Muller and I was so turned off. As if this is all a big intellectual leap that WE must make. As if redemption is dependent upon our efforts. Not a given, not a gift. Much as I hate to admit it, the CDF might be on the right track in watching this. "To many ears, “conscious evolution” probably sounds like a squishy catchphrase picked up after too much time in a New Age sweat lodge, and that’s pretty much how Cardinal Gerhard Mueller, head of the Vatican’s Congregation for the Doctrine of the Faith, views it." There is a key difference between the "Conscious Evolution" described by Barbara Marx Hubbarb in her keynote to the LCWR conference a few years ago and that of de Chardin - de Chardin at least was ernest in trying to remain faithful to the Christian kerygma; Hubbard has no interest in doing so (as she herself has said). Perhaps those "irked..in Rome" are trying to do just what the author suggests: salvage the key insights from the New Agey clap-trap.